In The final of the Men’s Singles, Andrei PUTUNTICA, went full distance against the last-year’s champion, his teammate Vladislav URSU, to became a new, champion of Moldova. At third place is Denis TERNA from Dubossary. In Women’s Singles, the victory went to player from Dubossary Olga BLIZNET. The team-mate of the new champion Alexandra KIRYAKOVA became the silver medalists. In third place is Ekaterina ZHIBRIK from Chisinau. In the Men's Doubles Event, champions are Andrei PUTUNTICA and Vladislav URSU. In the women's doubles victory went to Olga BLIZNETS and Alexandra KIRYAKOVA. 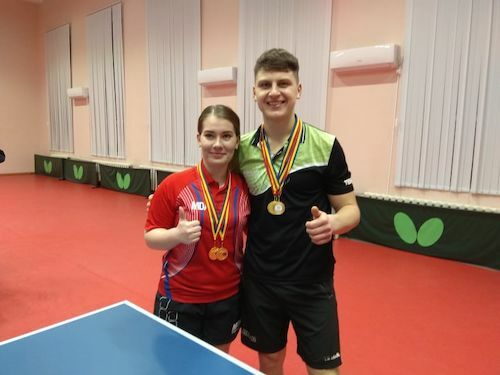 In the mixed doubles, Andrei PUTUNTICA and Ekaterina ZHIBRIK took the first place.